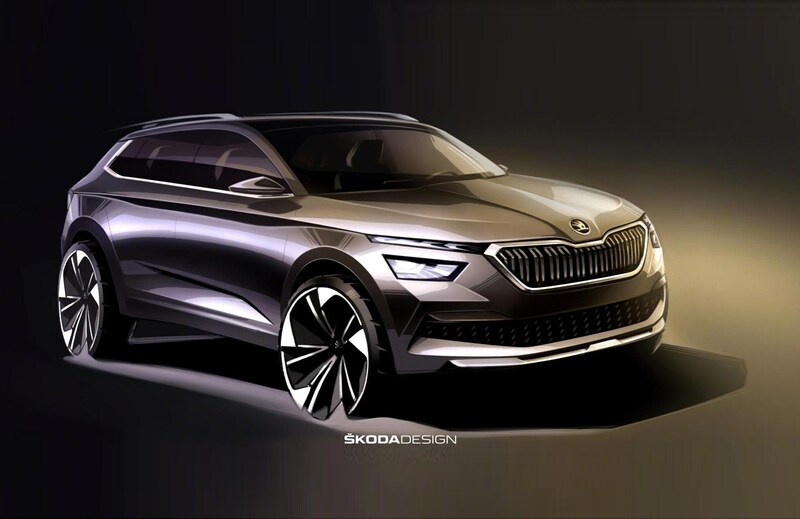 The new Skoda Kamiq is the Czech brand's third SUV, and the new junior crossover will be shown at the 2019 Geneva motor show - it's the Czech equivalent of the Seat Arona and forthcoming VW T-Cross. Prague has released official images and specs ahead of its Swiss debut. 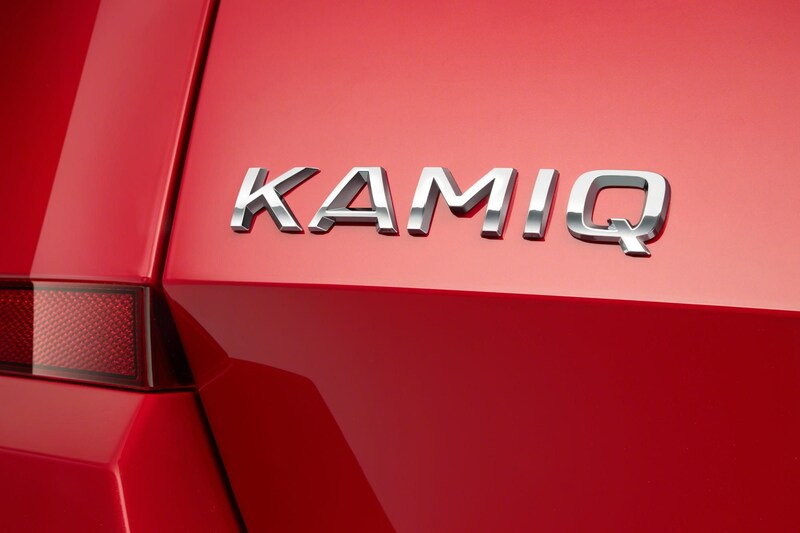 The Kamiq badge continues the K theme presaged by the Kodiaq and Karoq - it was in fact used on an earlier Skoda concept car, and has now made the leap from catwalk to showroom. It's already used on a China-market SUV too. What does Kamiq mean? 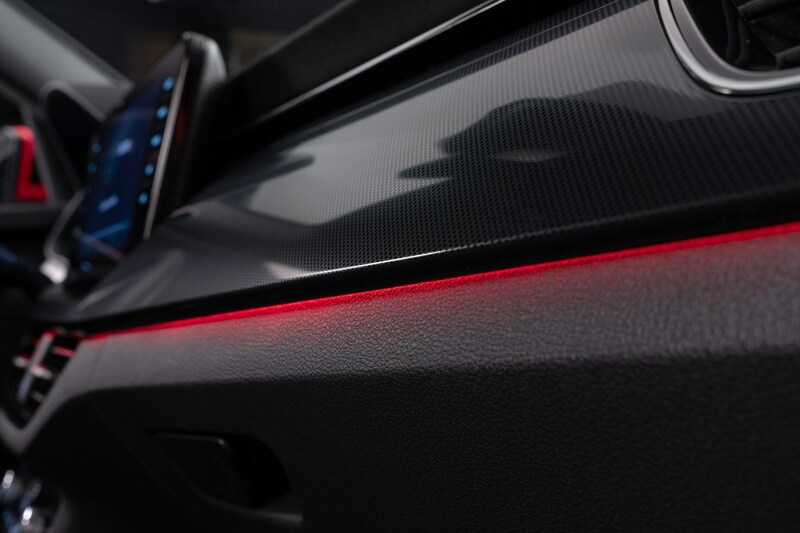 Skoda says the word comes from the language of the Inuit people of northern Canada and Greenland, describing something that fits as perfectly as a second skin in every situation. 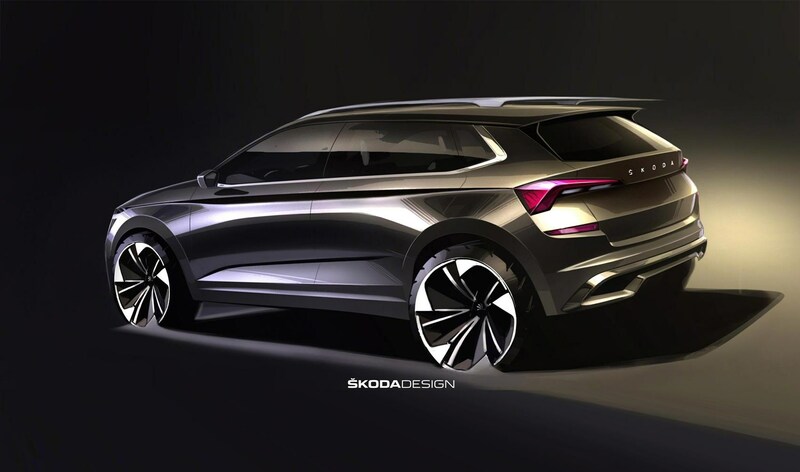 The Skoda Kamiq is based on the VW group's ubiquitous MQB architecture, which means it will be predominantly front-wheel drive, although loftier range-topping models could technically add all-wheel drive should it be deemed necessary. Styling inspiration has been provided by the Vision X concept car (further below) shown a year ago at the same show; the twin-strip front lamps have survived into production, with the top deck being a day-running light graphic that's new for the Czech brand. 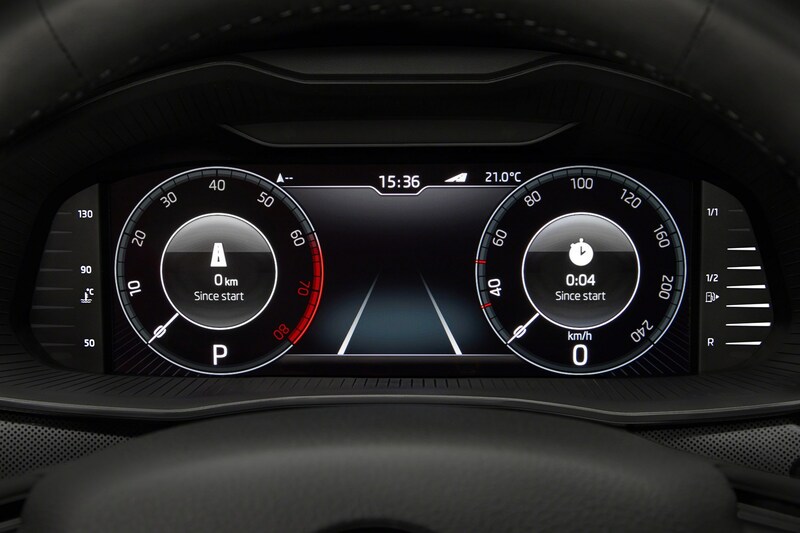 It's also the first Skoda with scrolling, dynamic indicators like on those snazzy Audis. Four engines are noted by Skoda, and they’re all rather familiar. Two 1.0-litre turbo three-cylinder engines with 94bhp and 114bhp and a 148bhp 1.5-litre TSI EVO engine make up the petrols. There is a 114bhp 1.6-litre diesel available. The top-end petrol and diesel can be had with a seven-speed DSG. The Kamiq takes a lot of its interior design from the Scala hatch, so there’s a glossy screen propped up high, digital instruments and almost an Alfa Romeo Giulia-like angling to the dashboard inserts. 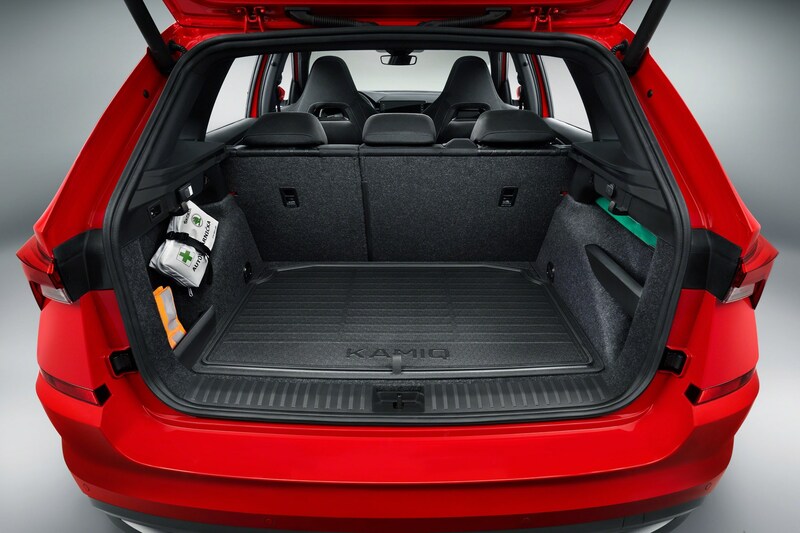 Skoda says the rear is roomy (a whole 73mm of knee room, folks!) and the boot is rated at 400 litres – just like the Seat Arona. Read on for a refresher on the Vision X concept car that begat the Kamiq. It was only a matter of time. 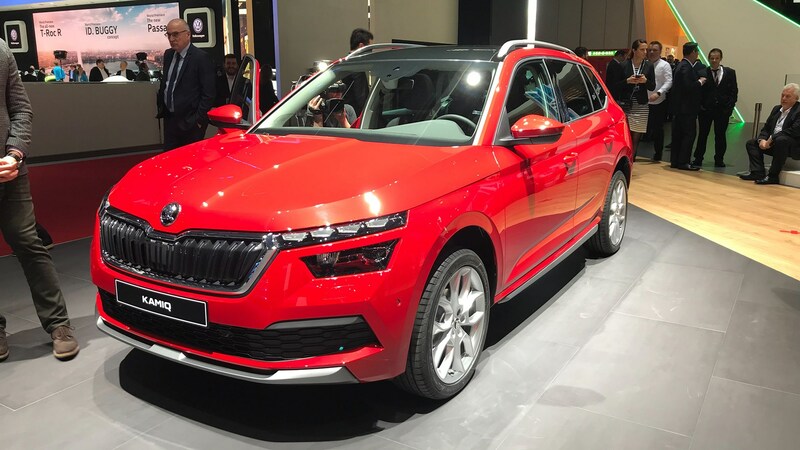 Skoda unveiled the Vision X compact crossover at the 2018 Geneva motor show – its version of the Seat Arona and VW T-Cross. This new baby SUV will take on a huge number of similarly-sized small crossovers when it arrives later in 2019 in production form. The Vision X certainly gives the Arona a run for its money in terms of style, with the sharp creases and neat details you’ll already find on the existing Kodiaq and Karoq SUVs. 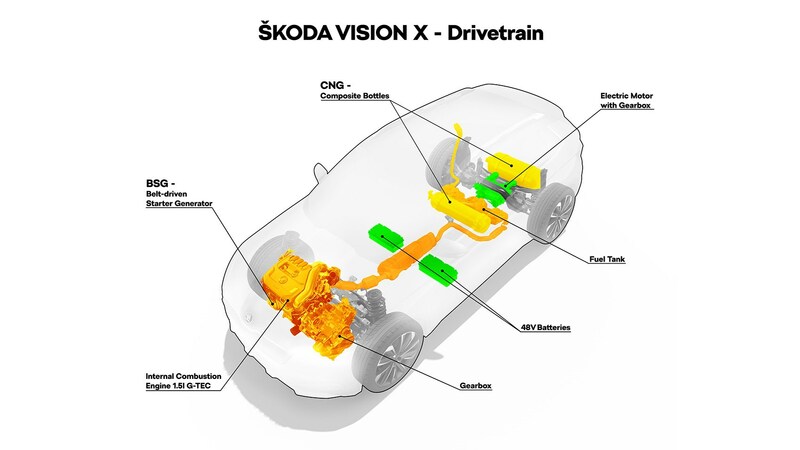 But according to Skoda it also ‘looks to the future’ under the skin. 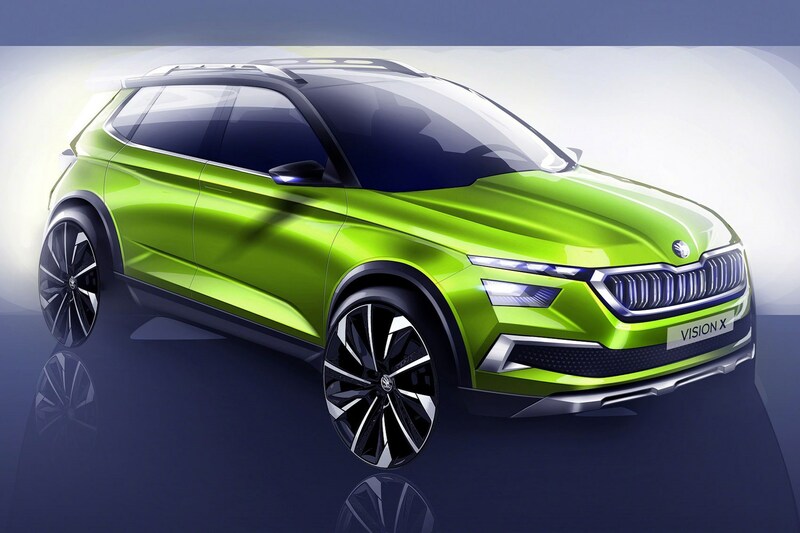 The new Skoda Vision X concept uses an intriguing drivetrain that's powered by a combination of compressed natural gas (CNG), petrol and electricity. 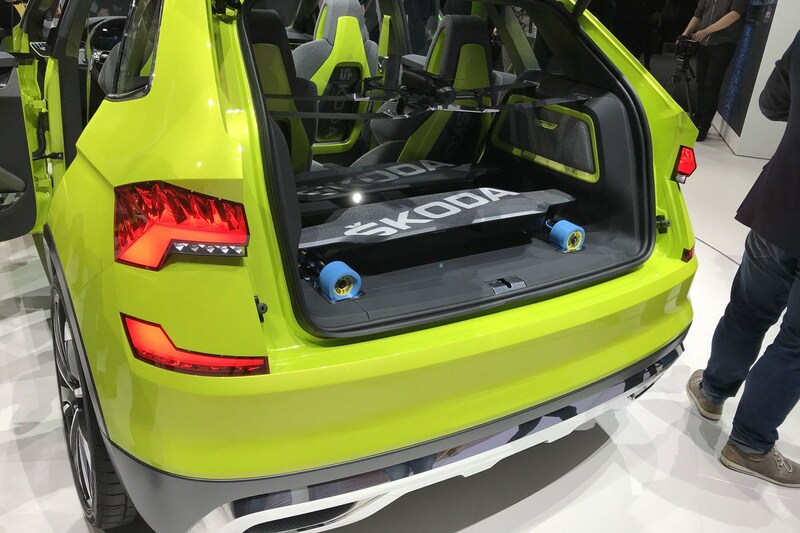 Skoda claims the concept can deploy its electrically-assisted rear axle to allow the car to operate as a four-wheel drive, but also to drive in EV-mode only for short distances around town. The production version is set to enter a crowded market, and it will be fighting the Hyundai Kona, Peugeot 2008, Kia Stonic, and the European best-selling Renault Captur. 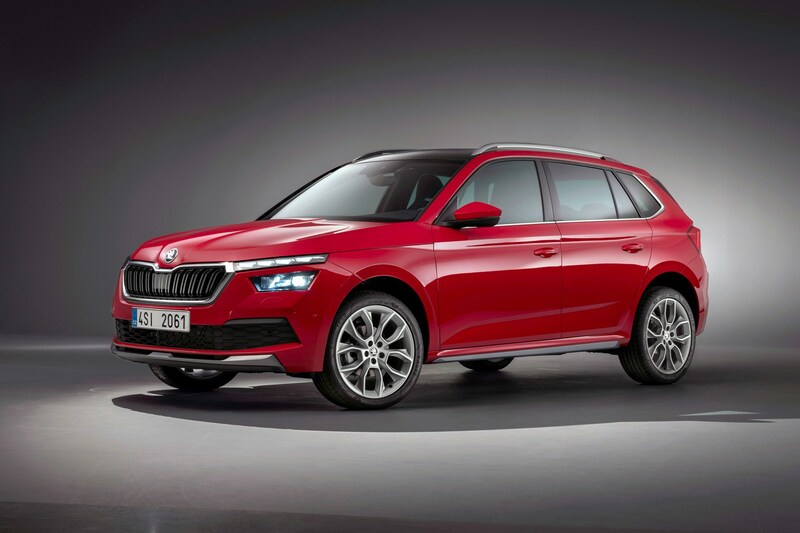 In order to make cut-through, Skoda is chasing the active lifestyle market, which means it will be playing a lot less safely with its design than it has with the Kodiaq and Karoq. 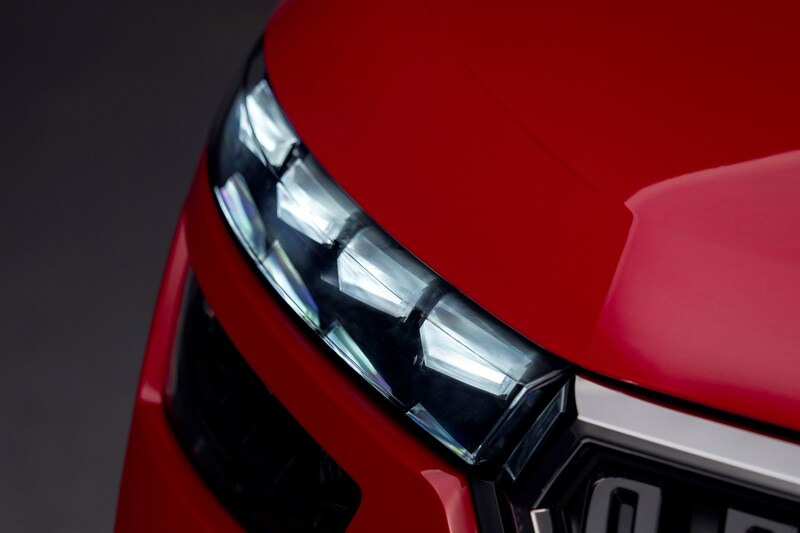 Up front, it gets a re-jigging of a familiar theme, with the day-running lights (DRLs) set in a strip above the main headlamps – it’s very similar in execution to the latest Citroen C3 and Hyundai Kona. 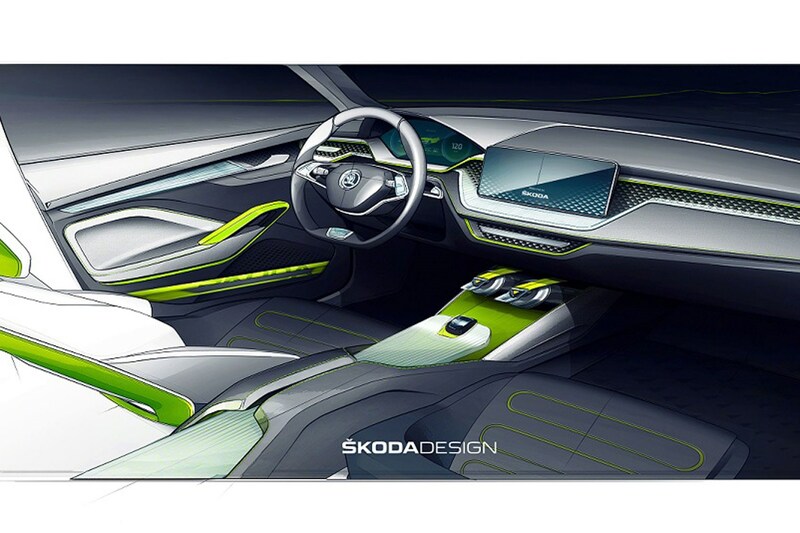 For the Vision X concept, the grille and surround are made from glass, playing on the Bohemian heritage of Skoda. When we asked whether this would be used in the production version, Stefani smiled. Sitting on the show stand at Geneva in 2018, the Vision X looked like it’ll certainly stand out among its rivals if the design stays true when the Skoda Kamiq makes production form. It should mostly stay the same at the front, and the rear look has a distinct whiff of Volvo XC40 about, which is no bad thing whatsoever. 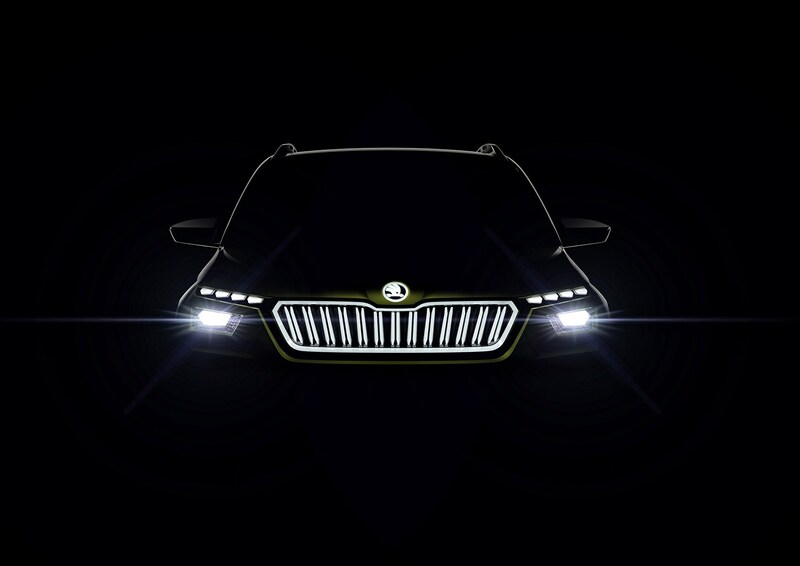 This is a car that Skoda aims to use as a showcase for its new range of technology, and with 40 projects underway in its tech department, it’ll be exciting to see what the production version of the Vision X could launch with. The show car was powered by the VW Group 1.5-litre TSI G-TEC engine. It’s a CNG-powered version of the excellent Evo engine that develops 128bhp, with a belt-driven starter. The CNG tanks are located under the rear seat and behind the rear axle, and are supplemented by a small petrol tank, which is only needed when starting from cold, or as a range-extender. The internal combustion engine and fuelling system are combined with a second electric motor on the rear axle. It’s powered by a 48-volt lithium-ion battery system, which charges while driving, and develops 26bhp and 52lb ft to the rear wheels only. It’s activated on demand, for boosting power, improving traction in poor conditions, or for EV-only driving at low speeds. Don’t get too excited – EV-only mode is worth a range of about two miles. 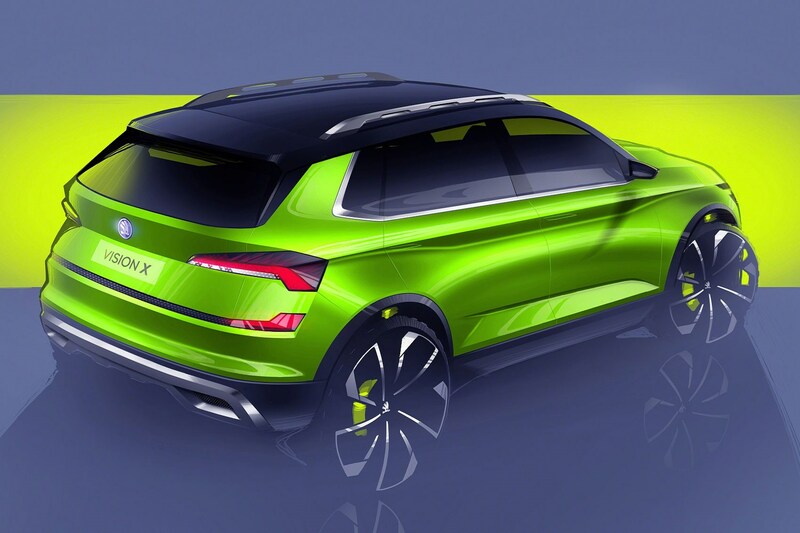 Skoda says that this electric four-wheel drive system won’t replace the Haldex-based 4x4 elsewhere in the range, but in the case of the Vision X – and presumably the production car that’s spawned from it – it’s all about efficiency and adaptability. What else do we know? When does the Skoda Kamiq compact crossover go on sale? The concept car fitted with this drivetrain is said to do 400 miles between refills, thanks to the reserve petrol tank, and 0-62mph takes 9.3 seconds, with a maximum speed of 124mph. Bernhard Maier, Chairman of the Board for Skoda Auto confirmed at the Geneva motor show that it’ll be available in production form as soon as 2019 in Europe. Expect it to be available in the UK shortly after. 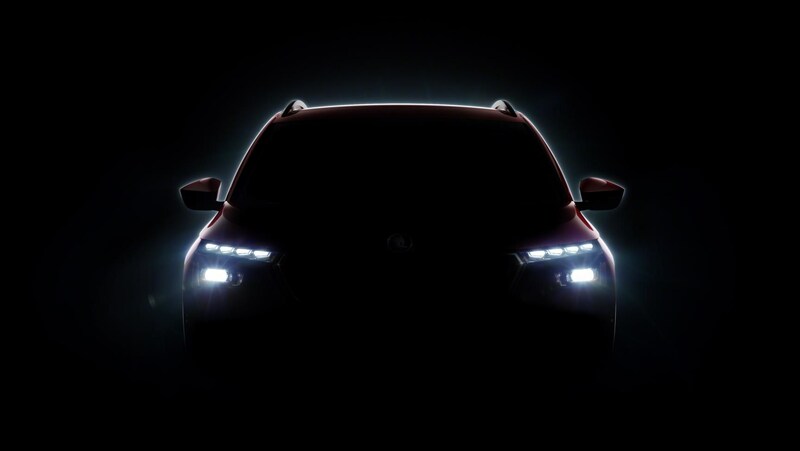 If we were to gauge timings from previous models, the reveal of the Kodiaq followed the unveiling of the Vision S concept car by around a year. Either way, expect the Skoda Kamiq to be on sale by the end of 2019 in the UK.